Most marketing activities have to be done a few times before they start to make a positive impact on important things like sales. They also get better and better with a bit/a lot of testing and refining. We'll start by pulling ideas together into a plan that'll get your newsletter launched and loved. 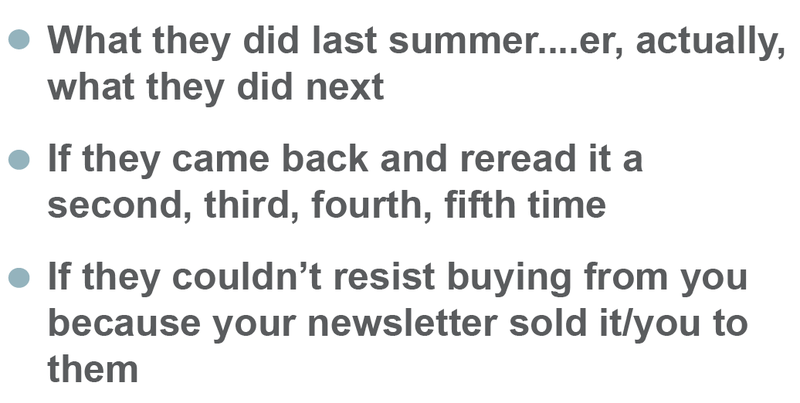 Who loved the subject line so much they opened your newsletter immediately. ﻿So, we'll plan and test and improve and plan and test and improve and so on and on.